Deepblak’s left, and right arm AYBEE along with Afrikan Sciences offer up an homage to one of the greatest musical innovators of the 20th Century, in Miles Davis. 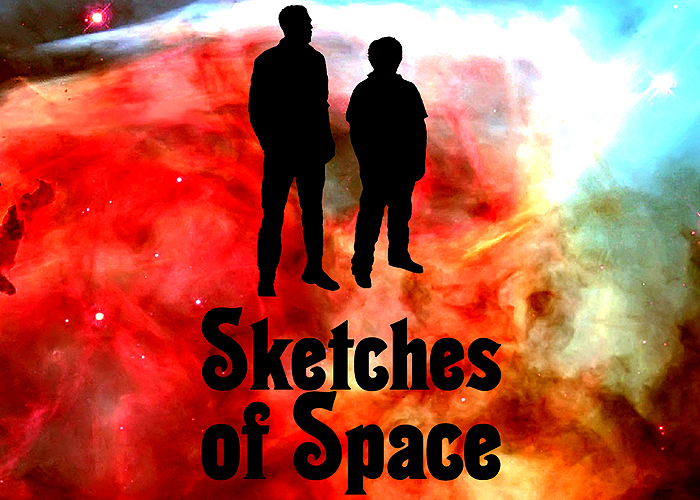 “Sketches of Space” is comprised of LIVE jam sessions recorded over a 3 year span, and two countries . The project though named after Mile’s classic “Sketches of Spain” is not dedicated to any of Miles’s work specifically, but honoring his pioneering spirit from which this project drew fuel. Particularly Davis’s spirit in his continual search for new sound. This is search led him into the jazz fusion era, birthing a movement of stunning contributions by jazz giants that began to explore the improvisational possibilities of electronic instruments. This era in particular, along with it’s ethos has played a critical role in Deepblak’s creative direction over the years. AYBEE along with Afsci have remained steadfast in pushing themselves sonically, and have drawn an innumerable amount of inspiration from the free flowing vibes of the 70’s jazz fusion era. “Sketches of Space” is by no means a Jazz album, nor is it a remixing or recreation of Miles’ music. Though it is with him in mind that the two producers entered into the Sketches jam-sessions over two continents (Oakland, US/Berlin DE) to record. Wild, Cosmic, and smooth at times “Sketches” represents the free flowing experimentation that Deepblak as a label cherishes so dearly. Digital release please… Can’t afford to ship vinyl to South Africa.